Fashion thrives on change, and one of the most dramatic shifts came with the end of the 19th c. and the second decade of the 20th. The red silk corset from 1889 that I featured earlier this week and this bandeau bra, left, from the 1920s are both from the exhibition Exposed: A History of Lingerie, now showing at the Museum at FIT, and I can't imagine two other pieces of clothing that would make the change more vivid. "Bras of the 1920s bore little resemblance to the bust supporters introduced during the late nineteenth century. 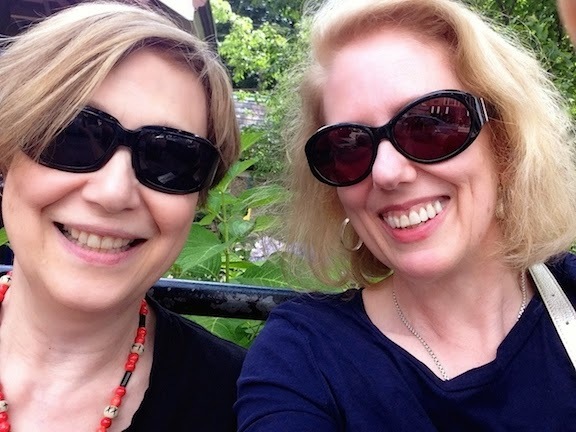 In correspondence to the increasingly slender body type of the fashionable woman, most bras were designed to flatten and de-emphasize the bosom. Although the styles varied widely, the bandeau bra was the most modern in its simplicity." This change happened in the course of only thirty years, a not unrealistic span in a woman's fashion-lifetime. Imagine the response of a woman who had worn the red corset under clothes like these, right, as a twenty-year-old newlywed, confronted in her fifties with a stylish granddaughter who'd adopted the latest flapper-inspired styles, lower left. The same dismay must have been felt by 18th c. women who'd worn stays all their lives and were abruptly faced with the minimal support and gossamer muslin gowns of the early 19th c. Another generation of women who likely felt similarly betrayed would have been those who'd been proud of their curvaceous, bombshell figures in the 1950s – until Mary Quant's Youthquake appeared in the 1960s, and Twiggy replaced Jayne Mansfield as the fashionable ideal. All of which supports one of my personal theories about fashion: To be a fashionable beauty, you have to get lucky, and be born into the right time period for what Nature gave you. 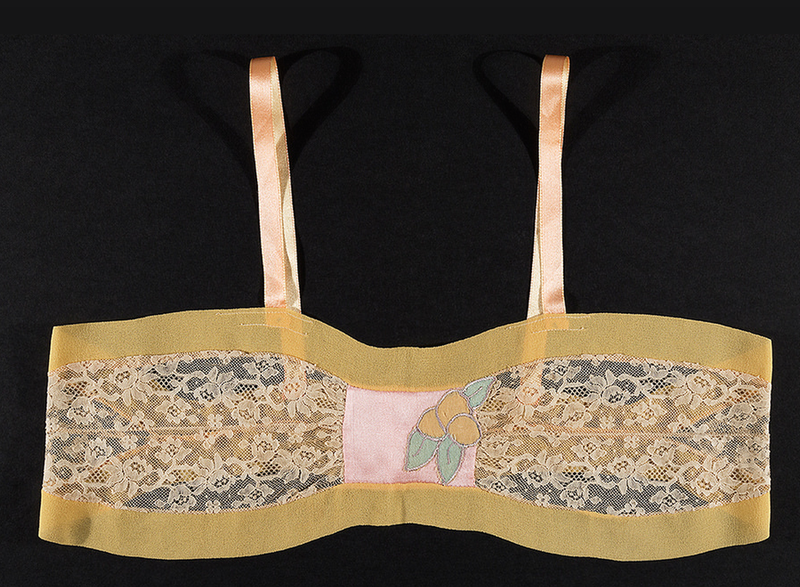 Above left: Bandeau bra, silk and lace, 1920s. Museum at FIT. 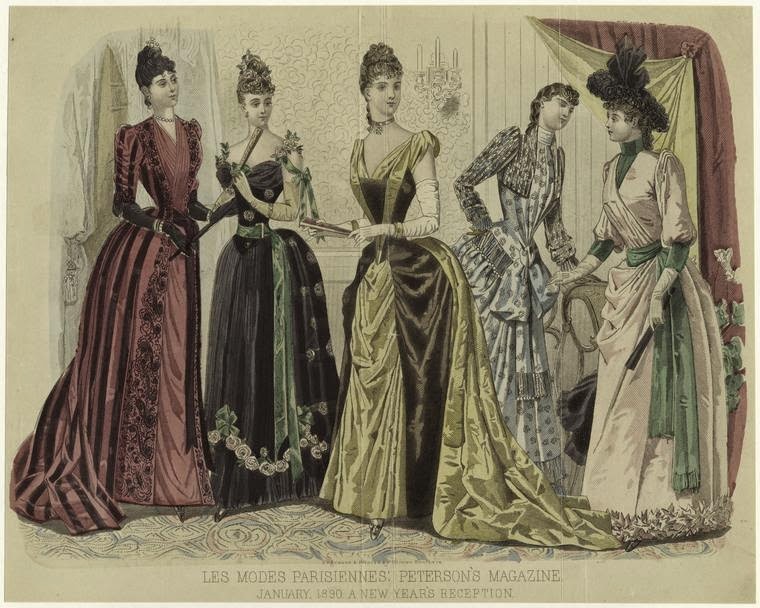 Right: "Dress for a New Year's Reception, Modes Parisiennes", Peterson's Magazine, January, 1890. 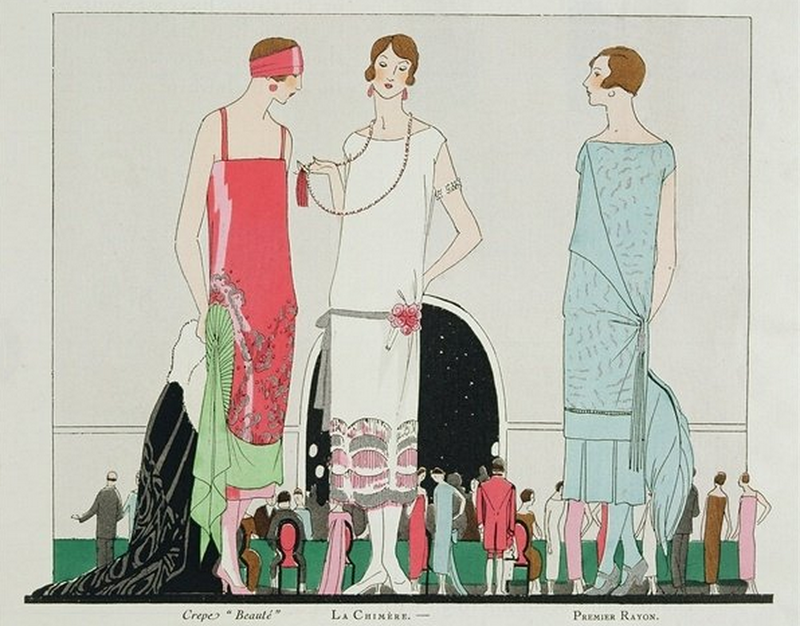 Lower left: "Evening at the Casino," fashion plate from Art-Goût-Beaut magazine, Paris, 1920s. As if the dare-to-bare lace weren't enough, there's the hint of "ripeness" in the fruit applique--what are those--peaches? Lovely!